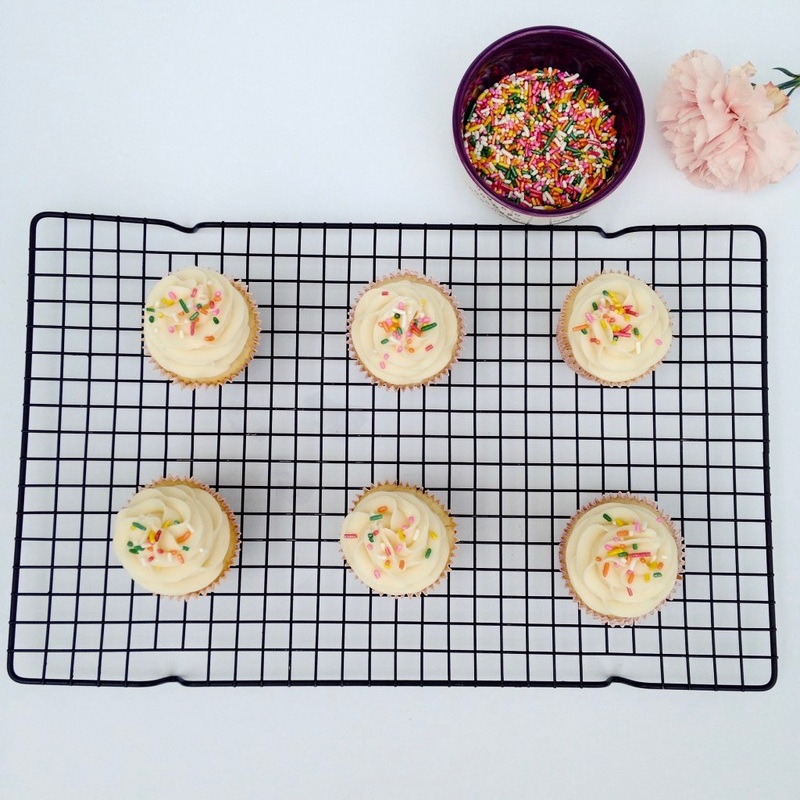 If you’re ready to ditch the box cake mix then these cupcakes are a simple recipe to follow to bake from scratch. Yes they have butter, sugar, and are piled high with frosting, not a healthy recipe here, but rather the perfect occasional indulgence. If you follow me on Instagram you know I believe in moderation and treating yourself, as my feed is filled with healthy plates and plenty of sweets. I also feel that making desserts from real ingredients makes a huge difference rather than using boxed mixes which are packed with artificial ingredients. 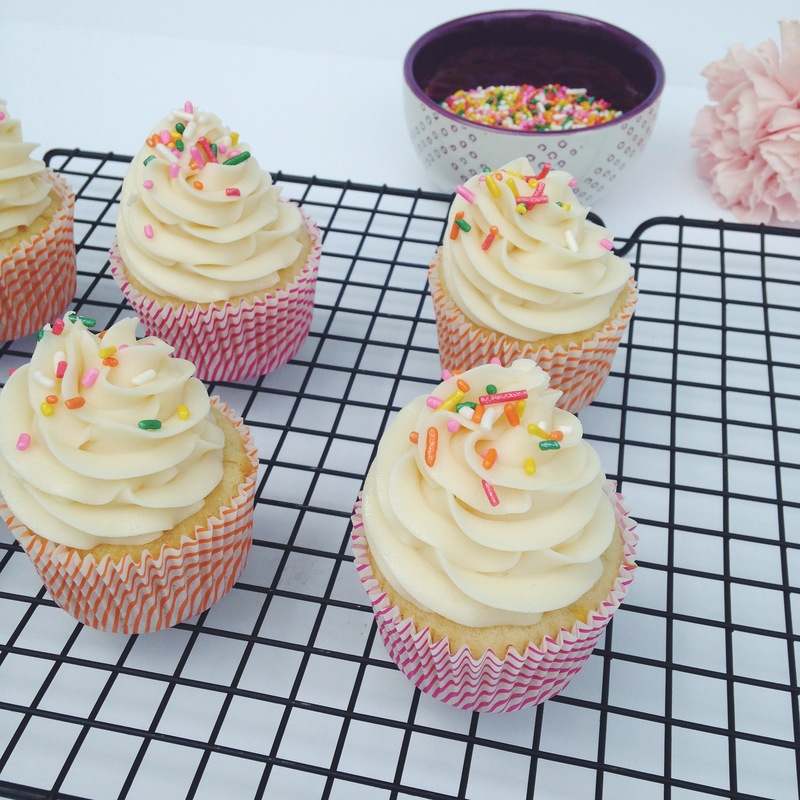 Below you will find the recipe and details for a Classic Vanilla Cupcake recipe with Buttercream Frosting, yum I’m drooling just thinking about them! 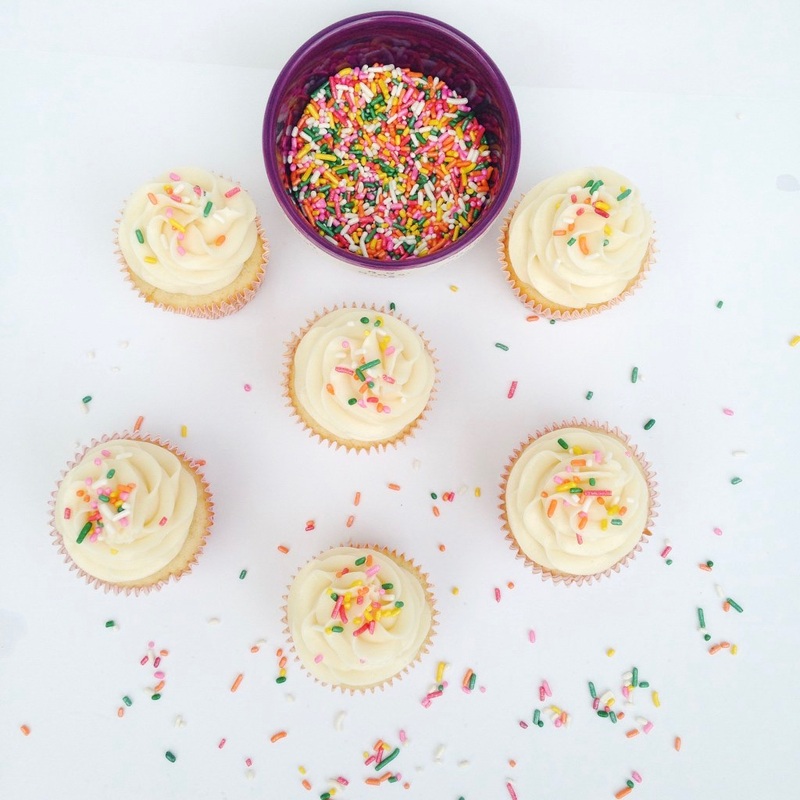 Vanilla is anything but ordinary with this cupcake recipe. 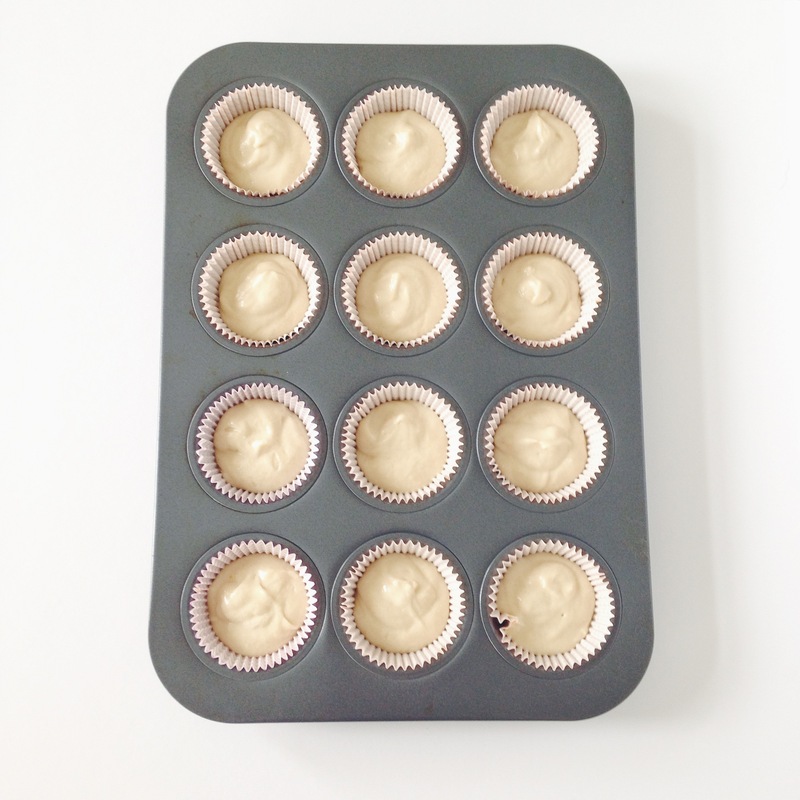 I cannot even begin to tell you how many simple vanilla cupcake recipes I have tried in order to find the perfect one. When it comes to baking I typically do NOT develop my own recipes. Rather I try numerous recipes and sometimes slightly adapt until I have found my favorite final product. My husband and co workers definitely don’t complain about being taste testers. I have been making these vanilla cupcakes for a little over a year for birthdays or small get togethers with family and friends and everyone always seems to really enjoy them. The original recipe comes from Sally of Sally’s Baking Addiction. She is one of my favorite dessert food bloggers. If you read her entire post of any recipe she will give you some great baking tips and advice. I have learned so much from reading her blog since baking, unlike cooking, must be extremely precise and changing one simple ingredient could make your dessert a complete fail. Some slight modifications I do to her recipe is that I usually use buttermilk. I actually don’t think I’ve tried the recipe with the recommended almond milk. I use buttermilk because I use it in my chocolate cupcakes, I’m sure it doesn’t make that big of a difference what kind of milk you use. And I’m sure the cupcakes would taste even better with vanilla bean, but I can never seem to find any at my local grocery store and forget about it when I’m shopping elsewhere. So the vanilla bean is definitely NOT necessary, they will still taste delicious! If you read Sally’s entire post she emphasizes the importance of bringing all your ingredients to room temperature. It is so important to make sure the butter, eggs, yogurt, and milk all sit out for a bit before you start mixing ingredients, it really affects how the cupcakes cook in the oven if they are not. Lastly, no matter what kind of cupcakes you are making (even if its a box mix) I STRONGLY suggest making her vanilla buttercream frosting. It is seriously the best frosting I have ever had (and I don’t even add the vanilla bean) I will never try another vanilla buttercream recipe! Here is a link to Sally’s Very Vanilla Cupcakes and Vanilla Buttercream. And below you will find some of my personal photos from the last time I made these cupcakes for a small party. To frost the cupcakes my favorite tip to use is the Wilton 1M. And I top with some rainbow sprinkles of course! Hope you are all enjoying the end of your summer and will try these cupcakes the next time you have friends or family together. What’s your favorite type of cupcake? All about the Cake or Frosting?